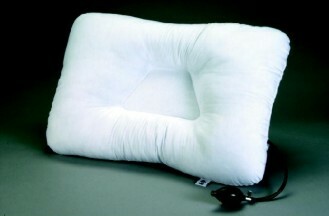 FIBER DH PILLOW (24 x 16 x 4.25") - Highest quality fiber fill pillow filled with Dacron Hollofil fiber available today. Enjoy proper neck support while you sleep. Designed for back or side sleeping.. Non-allergenic, resilient, odorless and long lasting. New Anti-microbial fiber.